Subscribe and receive Changes in Workforce Composition, plus monthly news and info to help you reach a higher level of success. HR & OD Strategies To Help You Reach Success. What is your organization reaching for? Alignment between HR and organizational goals? The ability to better attract and retain high-performing talent? Increased flexibility and versatility in a constantly changing environment? A more targeted and effective strategy to meet the needs of your community and constituents? No matter what the next level is for your organization, The Singer Group will help you reach it – with increased ease, momentum, and rapid results. As HR & OD consultants committed to innovation and transitions in the field, we work with organizations in the public, social, and private sectors to bridge the gaps between their current positions and their ultimate goals. By developing and utilizing forward-thinking strategies enhance each and every aspect of human resources and organizational development, we consistently deliver optimal outcomes and evidence-based results. Simply put, we reach deep to access your organization’s hidden potential and help you develop the ways and means to realize it. Of course, realizing untapped potential is not easy, especially given today’s changing environment and limited resources. But we also know that applying progressive strategies and leaving the status quo behind is a must – especially given ever-increasing competition for funding, customers and community support. In truth, the more competitive the landscape, the more competitive every organization must be – and that means putting a hard focus on optimizing every aspect of the HR and OD function so that the total organization is primed to achieve its goals. 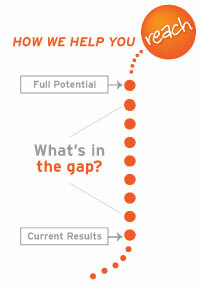 If you’re ready to reach full potential, read more about what we can do for your organization. 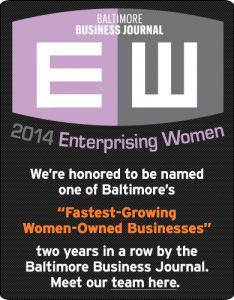 The Singer Group is a Baltimore-based human resources and organizational development consulting firm. The Singer Group serves clients nationwide, including in Maryland; Baltimore; Baltimore County; Washington, DC; Virginia; Delaware; New Jersey; Pennsylvania; Illinois; Indiana; Ohio; Colorado; Washington; Phoenix; Arizona; Tucson, Arizona; and Albuquerque, New Mexico. Coaching: Paula is now certified in brain-based coaching by the NeuroLeadership Institute. She brings new research and practice to support you in obtaining the results you want and putting new insights into action. Call her at 410-561-7561 for a free conversation about your needs and how coaching can change your life! New Service: Workflow Design Consulting - Want to save money and staff time? Want to have staff working to their highest and best use rather than be bogged down in out of date workflows? Consider Workflow Design Consulting. Learn about the why, what and benefits below. One of our clients decided to leave their step system of salary increases and adopt a progressive policy. We're working with their leadership, union and a labor management committee to make that happen. Paula is again teaching Organization Behavior and Management at the Johns Hopkins University's Bloomberg School of Public Health. It's the only exposure many of these physicians, nurses, health care administrators and others receive to the important workplace topics of conflict, group process, motivation theory and practice, culture, engagement, trust, etc. We are working with a major medical association on issues pertaining to Physician Leadership. Paula is facilitating a one-day workshop on Succession Planning. The outcome of the day will be an outline of a plan and the process and tools to complete it. We are facilitating major compensation and performance management studies in the midwest and west coasts. Reaching full organizational potential requires exceptional leadership – learn how our Leadership Coaching helps your organization achieve remarkable results. Work/Life Balance: Practice Won’t Make Perfect – But Keep Trying! How Progressive is Your Culture?